While the future of General Motors’ Detroit-Hamtramck Assembly Plant remains uncertain, Hamtramck community leaders are planning for what’s next—whatever that may be. Hamtramck Mayor Karen Majewski and Mayor Pro-Tem Anam Miha are hosting a community meeting Saturday at 9:30 a.m. at the Hamtramck Public Library to discuss the plant’s possible indefinite idling. 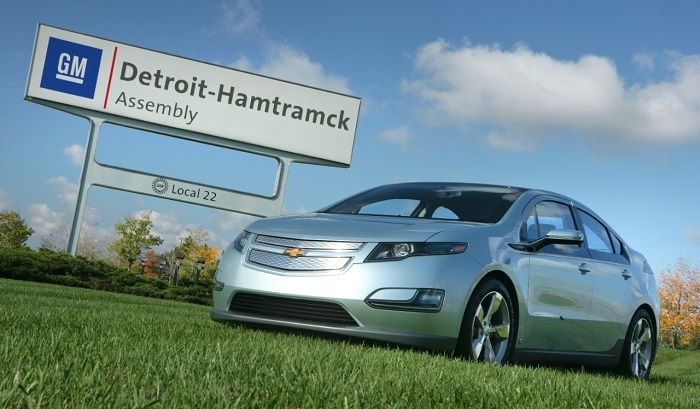 Detroit-Hamtramck Assembly was one of five North American plants General Motors wanted to idle this year. GM has already ceased some production of the Chevrolet Volt and Buick LaCrosse at there. The automaker scheduled all production to end June 1; however, the automaker has since backpedaled, extending product of the Cadillac CT6 and Chevrolet Impala through January 2020. There are no current plans for production at the plant after that time, though. Idling of the Detroit-Hamtramck Assembly factory could cost Hamtramck and the school system to lose hundreds of thousands of dollars with the elimination of the 1,500 jobs. The closing could cut the city’s budget by $850,000 annually, according to The Detroit News. Of that, schools could lose $115,000, says a flier about the community meeting signed by both the Majewski and Miha. General Motors has said new products coming to the plant is unlikely. The potential idling of Detroit-Hamtramck Assembly and the other four North American factories are a result of GM’s restructuring plan announced last November. So far, Ohio’s Lordstown plant has idled production. Operations at GM’s Baltimore and Warren factories end April 1 and August 1, respectively. Production at GM’s Oshawa factory in Ontario, Canada is scheduled to end in the fourth quarter of 2019; however, Unifor, the Canada workers union that represents Oshawa employees is currently negotiating the plant’s future with GM. General Motors has designed its restructuring to save the company billions of dollars so it can invest in new future technologies such as electric and autonomous vehicles. While profitability on those new technologies will happen down the road, GM will use trucks and other high-profit models that are selling well right now to subsidize the research and development of the technologies. Sadly, that means the automaker has to cut low-profit models. DetHam not getting new product or sold to another automaker= Hamtramck dead.